First Review for Impact Velocity! It’s HERE! Not just the book I’m SURE you’ve all been waiting impatiently for. (Don’t burst my bubble. If you haven’t, just don’t tell me, mkay?) I also have the privilege of sharing with you the first official review of the final book in the trilogy and it’s AWESOME! If you love Impact Velocity half as much as I love this review, then I will have done my job. 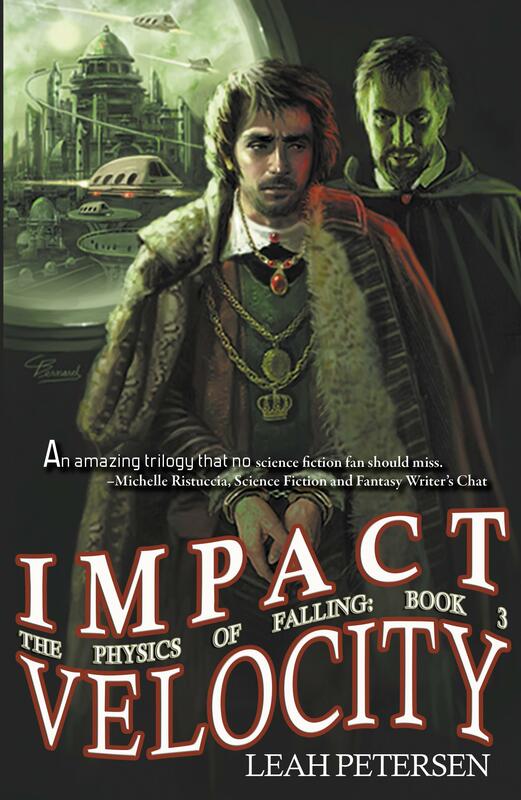 The Physics of Falling is an amazing trilogy that no science fiction fan should miss. Leah Petersen delivers on romance, character development, plot and political scheming, and love of science – in no particular order. Each novel is as strong as the first and each offers a different flavor while presenting united themes and plotlines. 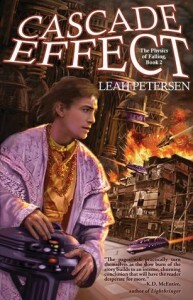 Leah Petersen has earned my trust as a novelist and I would gladly pick up whatever she comes up with next, even if it be outside my comfort zone, as was a homosexual romance when I started reading Fighting Gravity. Come for the m/m romance or the strong science fiction, and leave with the full plate of a well executed series. Interested? Well, go get yours! 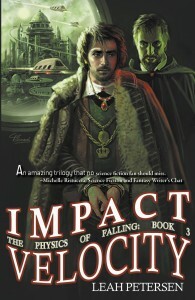 Impact Velocity – Conclusion to the Physics of Falling Trilogy! Wow this is kinda late, isn’t it? When the Hero Comes Home 2! It’s Here!!! 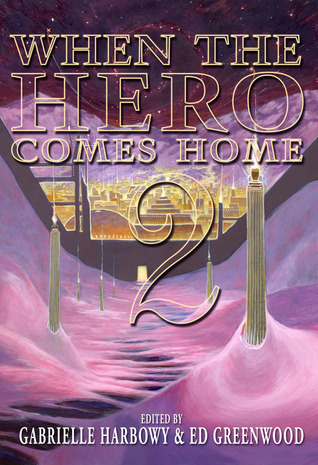 When the Hero Comes Home 2 e-book is now available for purchase! Want a preview? Below you’ll find an excerpt from my own contribution, Waiting for You. But that’s only one of the stories in this great anthology. Join us for all new stories of heroes whose journeys have ended, and whose quests have been won–or lost–as they discover the fate of the people and places they’d left behind. Featuring bestsellers, luminaries, and bold new voices. The print book contains 21 science fiction, fantasy, and urban fantasy short stories. Buy the ebook (epub or Kindle) for 8 bonus stories! It had been one thousand one hundred thirty-nine years, eight months and fifty-four days, Earth standard, since Tess had last seen the planet of her origin. The jewel tones of Earth came into view and Tess noted an odd fullness in her torso, recording the possibility that the pull of gravity was affecting her more strongly than it should. Another sign her body was deteriorating beyond repair. She filed the information in her error logs and flushed it from active RAM. Time enough to analyze the data when she was upgrading. She wondered if any of her current body was salvageable or if she’d end up downloaded into a new one. It was a daunting thought. She chided herself for the sentiment. She’d spent far too much time alone with biological life forms. They were attached to their form for good reason, but Tess had no such excuse. She had been too long in this body, she decided, and had grown inappropriately attached to it. That too could be merely a malfunction. It had been six hundred years, eighty-six days since she’d last patched her kernel. She’d checked the relay satellites on her way back and determined with 75.62% certainty that she and the satellites were obsolete technology, incapable of receiving or processing the data packets sent from Earth. Contemplation of that, and the changes that would be necessary because of it, occupied more of her available memory that it should have. Tess’s long range scanning capabilities were limited—her ship was little more than a shell for her body that held the long-range travel drive and fuel source—but even from 2.37-5 light years away, she could detect marked changes on Earth from her last recorded scan. Data transmission across her internal network quickened. For the rest, you’ll have to buy the book. Go get one!